ALBUQUERQUE, N.M. -- New Mexico regulators have approved restarting normal operations at the nation’s only underground nuclear waste repository, a major step for U.S. officials aiming to reopen the facility nearly three years after a radiation leak shut it down indefinitely. Two letters obtained Thursday by The Associated Press outline the state Environment Department’s findings from a recent inspection of the Waste Isolation Pilot Plant. Regulators found two minor permit violations but said those were addressed immediately. The site run by the U.S. Energy Department has been closed since a radiation release in February 2014 contaminated much of the underground disposal area. The leak stemmed from a chemical reaction inside a container of waste. The container was in a salt mine chamber, a half a mile below ground, and an investigation found that the ventilation system that was supposed to stop radiation from escaping to the surface leaked because of an inadequate design. Ten hours had passed before workers were alerted, and 21 people were exposed to radiation. The shutdown halted the shipment of tons of Cold War-era waste from sites across the country, compromising the government’s multibillion-dollar cleanup campaign and resulting in an overhaul of policies and procedures across the nuclear complex. The price tag for mitigating the contamination at the site in southeastern New Mexico is expected to exceed a half-billion dollars, which does not include costs stemming from a multimillion-dollar settlement with the state for numerous permit violations. All provisions of the settlement will remain in effect until they are fulfilled, Kathryn Roberts, director of the state’s Resource Protection Division, wrote in one of the letters sent last week to Energy Department officials. The state also noted that federal officials and the contractor that manages the repository must begin monitoring for volatile compounds when they begin moving waste into underground disposal rooms. 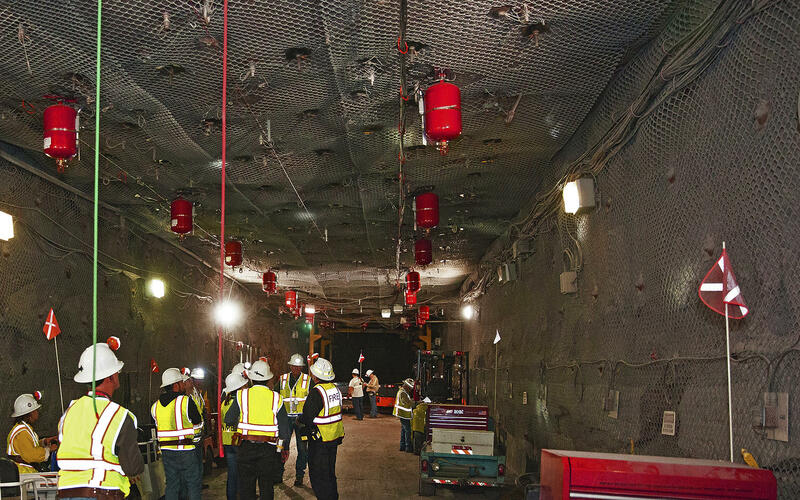 While state approval is key to restarting work at the Waste Isolation Pilot Plant, federal officials still need to address numerous issues identified as part of a separate readiness review done by Energy Department experts from elsewhere around the country. Federal officials have pushed to resume some work by the end of the year, but it’s not clear whether they will meet that deadline.